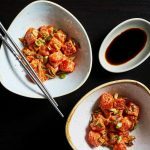 Thrifty cooks have been finding creative ways for using up stale bread since the beginning of time. The connection between stale bread and soup dates to the Medieval times, when soup was served in sops (pieces of stale bread). 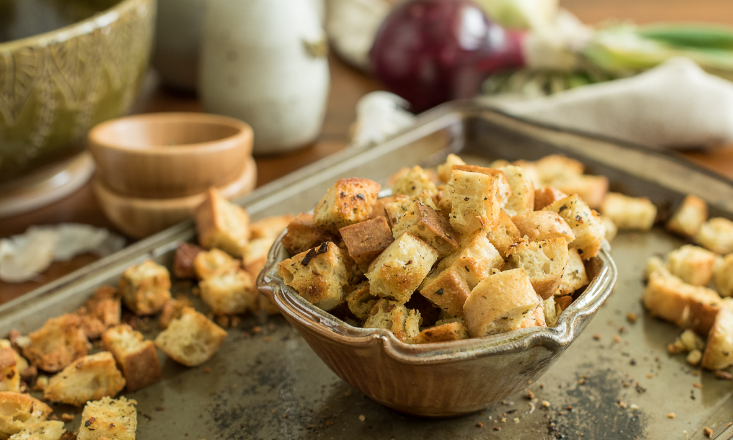 Croutons can be added to different salads and soups. 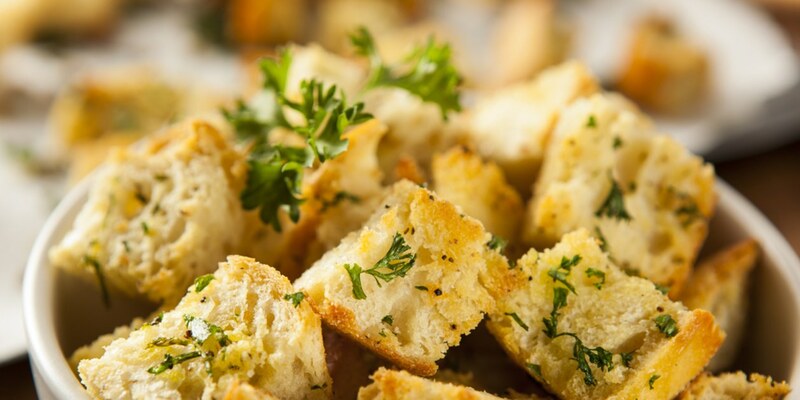 Instead of buying croutons at the store, however, you can easily and quickly make them at home! 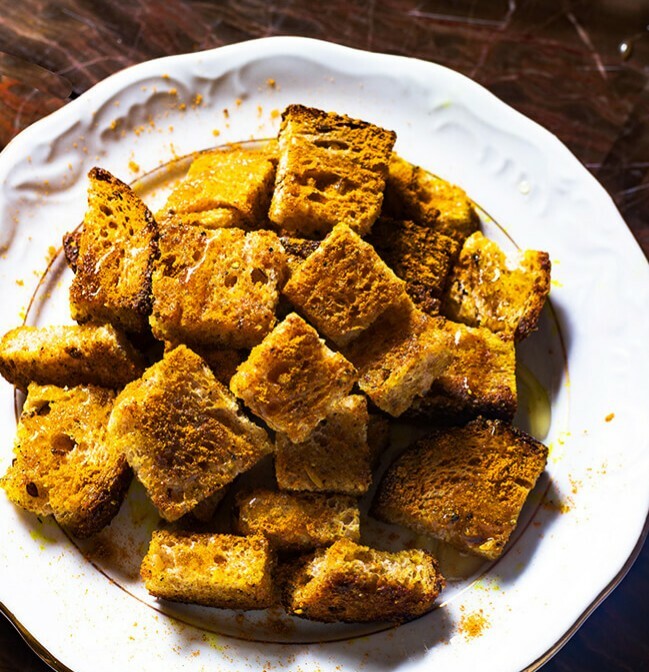 Here are three winning recipes for croutons that’ll upgrade simple soups and other dishes. 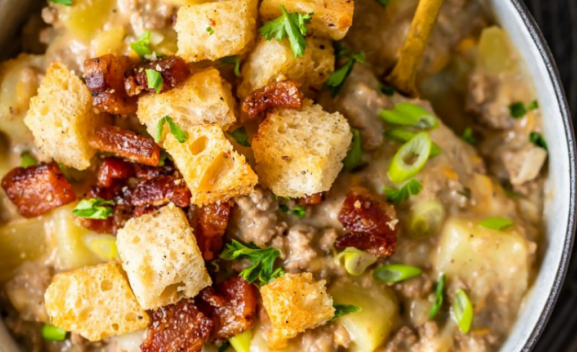 Bacon croutons are the perfect way to add some extra flavor to any soup or salad. Heat oven to 400°F and set oven rack to middle position. 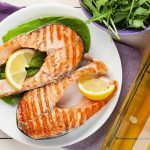 Cover a sheet pan with aluminum foil. Halve the bacon down the middle through each slice and cut the bacon into 1/2–inch. Cut the bread into 1/2–inch cubes. The bacon and bread should be the same size. Place the bacon pieces on the prepared sheet pan and place in the oven. Cook the bacon just until the fat begins to render, about 2 minutes. Add the bread cubes and toss with a rubber spatula to coat with the fat. Cook 15-20 minutes or until the bacon and bread are golden and crisp. Stir the bacon croutons halfway through roasting. Remove from the oven season with additional salt and pepper, if needed. Cool completely. Once cooled, keep in an airtight container in the fridge up to 3 days. In a small saucepan combine the garlic, 1/2 teaspoon of the salt, the pepper, and the oil and simmer the mixture for 5 minutes, and discard the garlic. In a bowl toss the bread cubes with the oil mixture, spread them in a jelly-roll pan, and bake them in ht e middle of a preheated 350°F oven for 8 minutes. Sprinkle the croutons with the Parmesan and bake them for 7 minutes more, or until they are golden. Sprinkle the croutons with the additional salt and let them cool. The croutons keep in an airtight container for 1 week. Melt the butter in 2 teaspoons of olive oil. Add the curry powder and stir over moderate heat until fragrant, about 45 seconds. Add the bread and cook, stirring occasionally, until toasted, about 20 minutes.